My name is Rebekah McCollin and i currently live in London, working part-time and studying full-time. I have been natural for 2 years and 4months. Many things made me look at being natural. Constant rejection of my own hair began to feel like self hatred and I was not raised to hate myself therefore I was behaving contrary to who I actually am but for who's benefit? 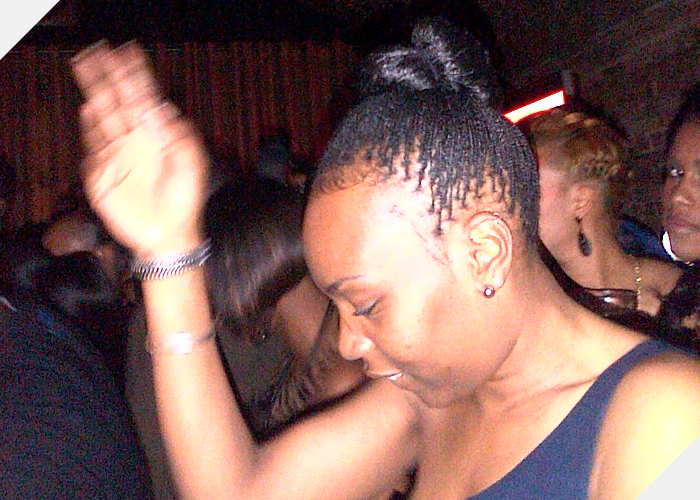 Bad relaxers and damaged hair are the reasons that I put in braids; not realising I was 'Protective Styling'. While my hair was braided I looked around me at people I knew or was related to, some of them had virgin hair which was beautiful, healthy and alive. At that stage I acknowledged that it was laziness and miseducation that made me not care after my own hair in its natural state. I have discovered that I am a 4 hair type. My texture ranges through a,b&c; I have all 3 textures of grade 4 type hair which has been a revelation due to thinking I was 4c only. I don't have a weekly styling regimen, I just do what I feel. Wash and condition when needed, but I do aim to protective style for the majority of the week. A typical wash day consists of an oil pre poo and finger detangle, diluted shampoo wash, followed by a conditioning treatment which is normally left overnight. Wash out conditioner with water only; then finally rinse with almond oil and water. 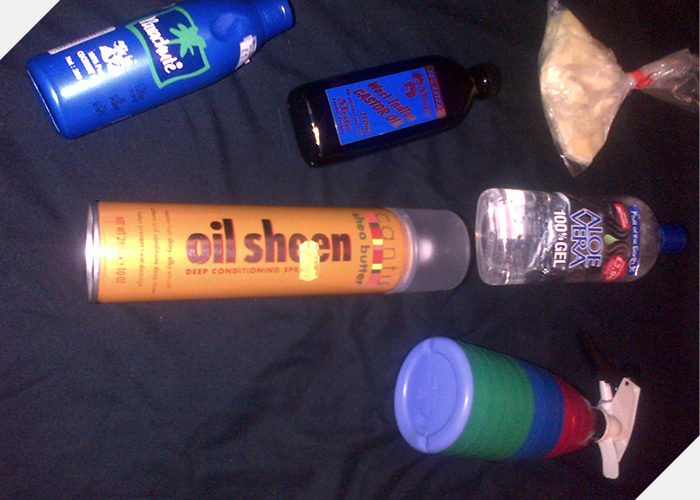 I then t-shirt dry my hair; at this stage I will do the L.O.C method and twist up my hair to lock in the moisture. My favourite go-to style would be my 'up puff'. Because I have 4a hair around my edges I am able to achieve a nice smooth finish therefore this look is quick and easy to achieve. YouTube has been my friend for information or sources of research. I think that blogging and websites are great but there is nothing better than personal experience. Inspiration is needed for many of us and I have too been inspired; Kimmaytube, Beautiful Brown Baby Doll and the Greenchannel have been of upmost help during my natural progress. I would say, have fun and do research. Understand your own texture and to not spend to much energy on wishing for the hair texture or type of others. In general I would advise them ALL to not define their beauty by other races standards. My name is Diana Higgins and i currently live in London as a HR Business Partner. I have been natural for 12years. I’d been thinking of going natural for about a year but actually always knew I wanted dreadlocks at some point of my hair journey. In fact thinking about it I wanted dreadlocks for about 10 years but always came up with excuses as to why I couldn’t! For example “how will I manage my hair”, “I’m not confident enough to rock this J”, “what will they think at work” (mainly as I work in a very corporate environment). I’d also come to the point where I wasn’t comfortable using relaxers anymore because having to wear gloves to put the ‘creamy crack’ in my head just didn’t make sense! In the end I started my transition by having hair extensions for a year to grow out the relaxer. I then embarked on my dreadlock journey. I absolutely loved my dreadlocks and had them for approximately 10 years before deciding to embark on my Sisterlocks journey. This I started in Jan 2012 and have been in love ever since. Sisterlocks allow the versatility of styling that I felt was slightly limited with dreadlocks. Not being a hair expert I would say my hair is a mixture of 4B/4C. Easy! When it comes to my Sisterlocks, one of the greatest benefits is you can literally shake and go, so automatically that saves me about 20 minutes in the morning which equates to extra sleep time! J. When it comes to a specific regimen I don’t actually have one of yet. My Sisterlocks are only 2 years old and have only just really started to fully loc and so I have followed the instructions of my consultant by not putting any products in my hair at all! That said, at least once a week I will spray with a mixture of water and rosewater just to give it a little bit of moisture. When it comes to washing my hair, I tend to do this every 2 weeks and alternate between the Sisterlock shampoo and a Lupine Sugar Shampoo which is made with love and care by the wonderful Annette Clarkley of Almocado. At the beginning of my Sisterlock journey I did have very dry scalp and found it very difficult to wrap my head around the fact that I wasn’t allowed to put any products in my hair. However as time has gone on my scalp has improved immensely and on doing a little bit of research I realize that my dry scalp was actually caused by the products I used to use in my hair. Over time the hair follicles become blocked and as the hair grows it pushes the products to the surface which can result in dry scalp. When I have time it is usually the Mohawk. I absolutely love this style. Sorry only 4 for now! Don’t hesitate and go for it!! It is a wonderful journey and no matter how you choose to wear your natural hair I’m sure it will bring with it a feeling of liberation! I would also advise them to do their research. 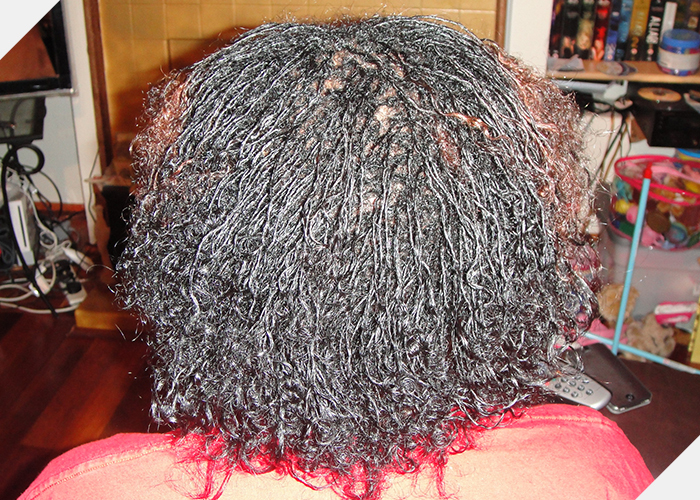 Products and techniques that may have worked on relaxed hair may not necessarily work on or for natural hair. 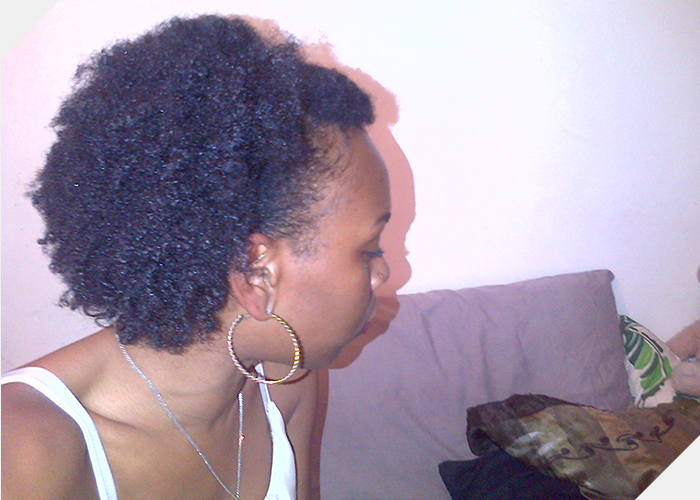 For example last year I came across the LOC method – Liquid, Oil, Cream. This method allows you to keep your natural hair soft and provides all the moisture it needs. I use it on my daughter’s natural hair and it has been an absolute blessing. I use a mixture of Jamaica Black Castor Oil, Coconut Oil and Olive Oil which works on her hair, but i have been told that the Jamaica Black Castor Oil is too heavy for relaxed hair, so I would say research is an important part of starting your journey.